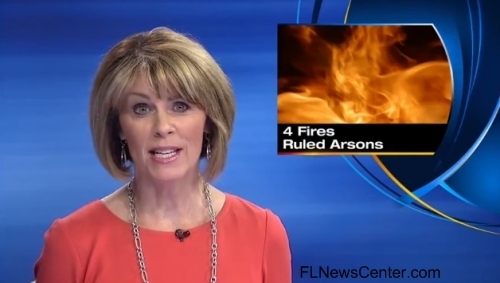 Jacksonville‘s WJXT-TV has debuted a new logo, graphics and tweaks to its set, reports Florida News Center. The station modified its logo by adding bevels and tilting it to the right at angle, while trying to remain true to the previous five color palette. 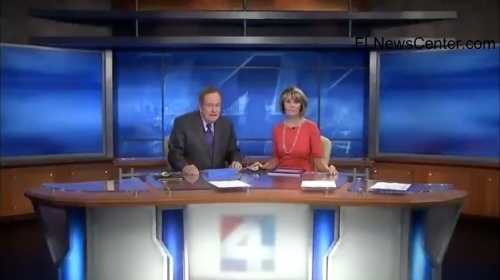 In addition, the station switched out its graphics package and tweaked the set to include the new, angled “4” in a dura that also incorporates light bursts and a cityscape. The rather bland set, which was designed by FX Design Group, originally debuted in 2009. Interestingly, the station didn’t update the logo on the front of the anchor desk. While the new background does help liven up the set a bit, but the new logo is a bit of a disappointment. The bevels used in it are inconsistent and the new, darker colors, don’t harmonize quite as well as the previous, fresher tones. The orange in the middle of the “4” and purple in the lower left quadrant are particularly poorly chosen — the purple seems to be a bit uncertain whether it’s violet or royal blue while the orange, being the brightest color used, makes the negative space in the middle of the numeral stand out like a sore thumb. 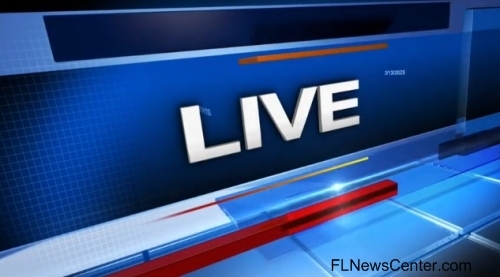 For a complete look at the new graphics, visit Florida News Center.